The Linq food court consist of just one Restaurant and an Express version of the same Restaurant. 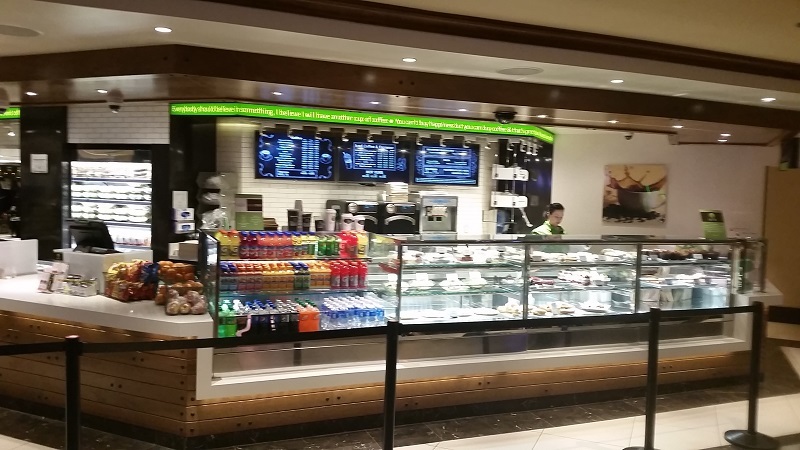 The Nook Express is located near the Casino Cage and offers pizza and deserts. Good looking cookies and pastries. 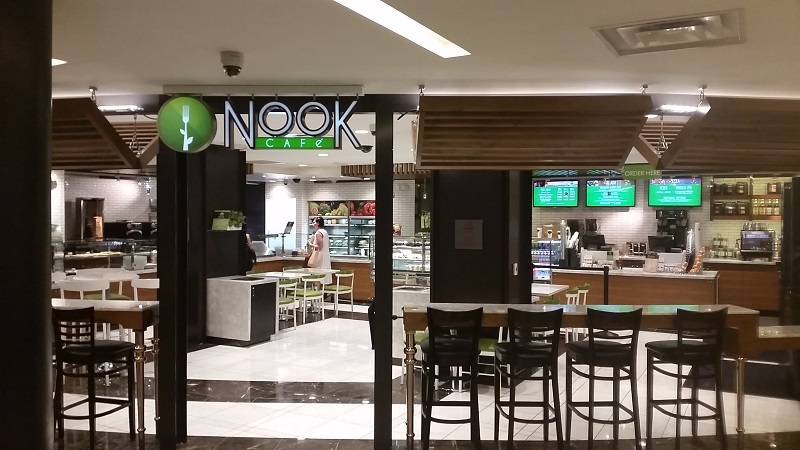 The NOOK is located in the shopping area going toward the parking and the Monorail Station. It is like a mini food court that has a little of all the good fast service food. Tip: You can order from The NOOK while sitting in the TAG Sports Bar, the waitress will tell You how.